Do you use Pinterest? If you do you can follow me here. I’d love to see what you are pinning. You can see what others have pinned from Katie’s Kitchen here. And hello! to those who have found Katie’s Kitchen via Pinterest. 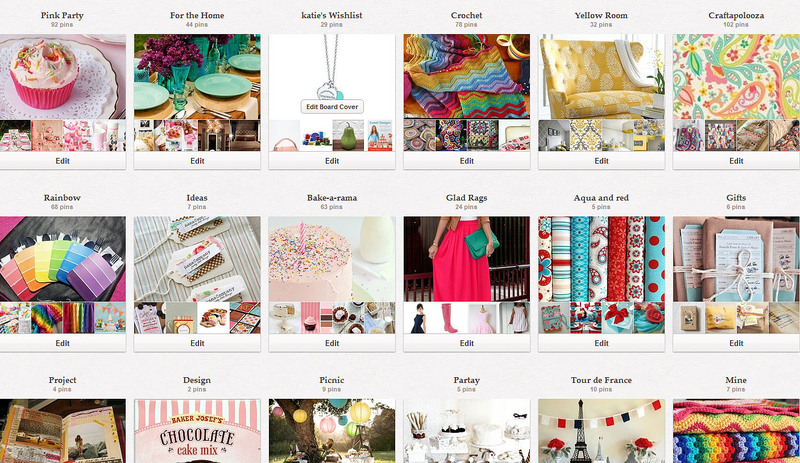 A snapshot of my Pinterest boards. Click to enlarge image. Each image you pin, if pinned correctly, links back to the original source. If you don’t want your own images to be pinned, there is html “no pin” code you can add to your site. It’s found on the Pinterest site.